You probably saw the recent news coverage about Governor Perdue’s proposal to streamline and reorganize many of the state agencies. She has posted a broad overview of her proposal—Setting Government Straight. It gives you a perspective on the future shape of state government as viewed from about 30,000 feet. 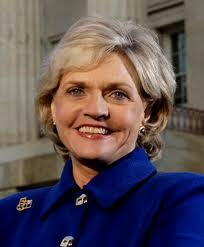 Governor Perdue’s office has asked the School for our input and assistance with her reorganization plan. Because the details of her proposal won’t come out until she releases her budget later this winter, we really have very little information to consider at this stage. The next step in the process is much harder, however. How do they make this reorganization happen on the ground? Experience teaches us that working through the implementation details is where one most likely will confront the Devil. I do think that we should step up now and make ourselves available in those areas where we can offer some insight and practical feedback. For example, she is proposing to consolidate purchasing and contracting functions—what are the potential roadblocks or challenges to such a proposal? She is proposing the consolidation and selective privatization of IT functions—has this been tried before? Any lessons learned? She wants to combine three separate agencies (Corrections, JJDP, & CCPS) into one Department of Public Safety—what should be considered about the responsibilities and cultures of these three agencies before they attempt to bring them together? These are only examples and there may be other features of the proposed reorganization where we could provide useful assistance. In addition to Governor Perdue’s initiative, another good reason to think about these issues now is because legislative leaders are also likely to address this issue and offer their own reorganization proposals. They will be looking to us for assistance and it would be great if we could step up and respond. The School’s highest strategic planning priority was to increase our assistance to public policy decision-makers. Governor Perdue has proposed the most significant restructuring of state government since the 1930s. This is a great opportunity. Unlike many potential policy projects, it seems clear that something concrete will happen as a result of this one. We have a chance to help make sure that Governor Perdue, legislators, and agency officials move forward as effectively as possible in this effort to improve state government. Aimee Wall has been talking with the Governor’s Policy Director, Mike Arnold. He plans to contact us for assistance with specific issues in the coming weeks, and he also has asked that we proactively share any thoughts and reactions we might have now. If you would like to get involved right now, please let Aimee know and she will coordinate communications with the Governor’s Office. I also hope you will let her know if you are approached separately about working on some piece of this plan—the coordination of our efforts is important. As specific questions come in, Aimee will be contacting the appropriate faculty members for assistance. She is taking the lead because of her new role in directing our Applied Public Policy Assistance Network. Please do your best to respond if Aimee calls on you. I will do my best to see that you get whatever you need to participate, and so please don’t hesitate to let Aimee or me know how we might facilitate your involvement.